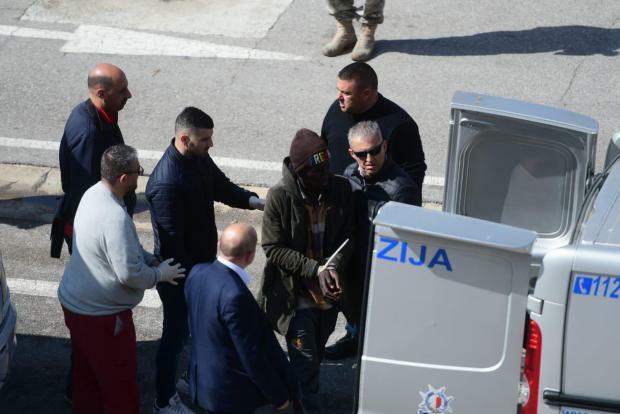 A small tanker that was taken over by a group of migrants was stormed by Maltese soldiers early on Thursday and escorted to Malta. The vessel, with 108 migrants on board, including 12 children and 19 women, docked at Boiler Wharf on Thursday around 8.30am. 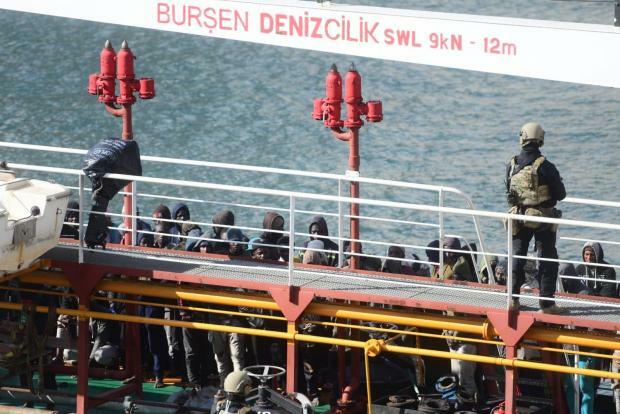 The migrants disembarked safely and the five hijackers were taken away in handcuffs. The ship rescued the migrants off Libya and was returning them to a Libyan port on Wednesday when the bridge was taken over some six miles off the Libyan coast. The crew were then ordered to set course towards Malta. The Maltese authorities established contact with the captain of the tanker ElHiblu 1 when it was about 30 nautical miles away. 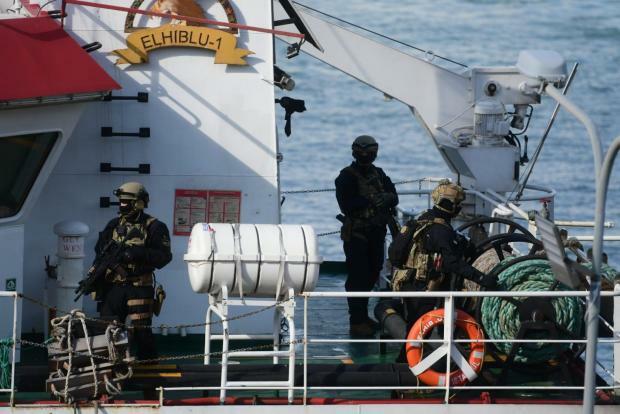 The captain repeatedly said he was not in control of the vessel and that he and his crew were being forced and threatened by a number of migrants to proceed to Malta, the army said. A total of 108 migrants are believed to be on board. A Maltese patrol boat stopped the tanker at the edge of Maltese territorial waters. A special operations unit team, supported by patrol boats and a helicopter then boarded and secured the vessel, handing control of the ship to the captain. Armed soldiers in battle fatigues and flak jackets could be seen guarding the migrants as the ship entered Grand Harbour at about 8.30am. The police quickly identified five suspected hijackers, who were handcuffed and taken away in a prison van. They are expected to face charges of using force to illegally take over command of the ship and diverting it from its course. No weapons appear to have been used and no one was injured, but the outnumbered crew members said they were threatened with assault unless they followed orders. Some of the migrants, who appeared weary, kissed the ground as they disembarked. The Police Commissioner was seen boarding the ship around 9.15am. The AFM assumed control of the vessel 30 miles from the island. The ship was taken over, coincidentally on the day the EU announced it would suspend ship patrols that have rescued tens of thousands of migrants in the Mediterranean. 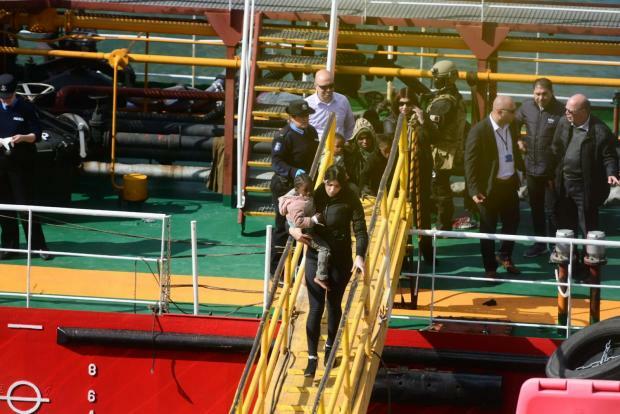 The NGO Sea Eye said in a statement that its rescue ship Alan Kurdi crew could hear the radio communications between a European naval aircraft and the tanker on Wednesday afternoon. The captain was asked to help as 108 people were in "mortal danger" and the Libyan Coast Guard was "out of service". The ship rescued the migrants and requested assistance. The captain explained on the radio that the migrants were very upset and did not want to be taken back to Libya. Sea Eye said that as a result, 108 persons were now being "criminalised and instrumentalised". "The EU will have to take responsibility for this renewed escalation if cargo ships have to take on government responsibilities which the Libyan Coast Guard is often unable to fulfil," Sea-Eye spokesman Gorden Isler said. Italy's Deputy Prime Minister Matteo Salvini described the migrants who took over the vessel as "pirates".